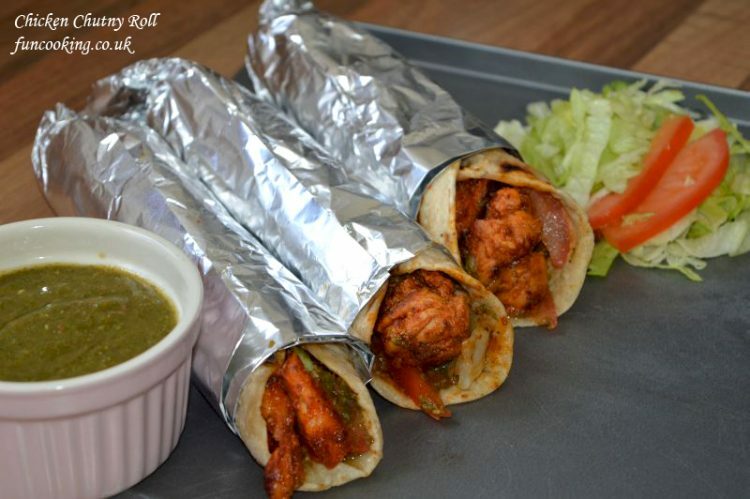 A delectable and mouth-watering roll recipe which you can eat in Pakistani food streets and restaurants. 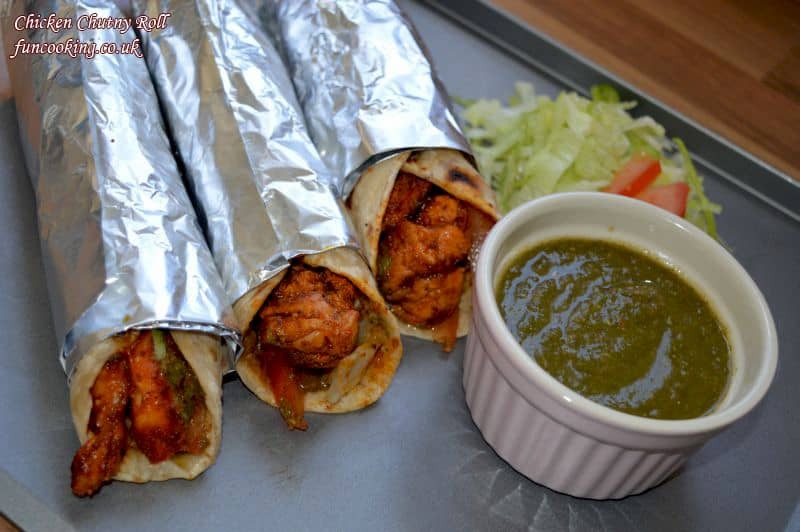 A specialty of Karachi easy to go foods. 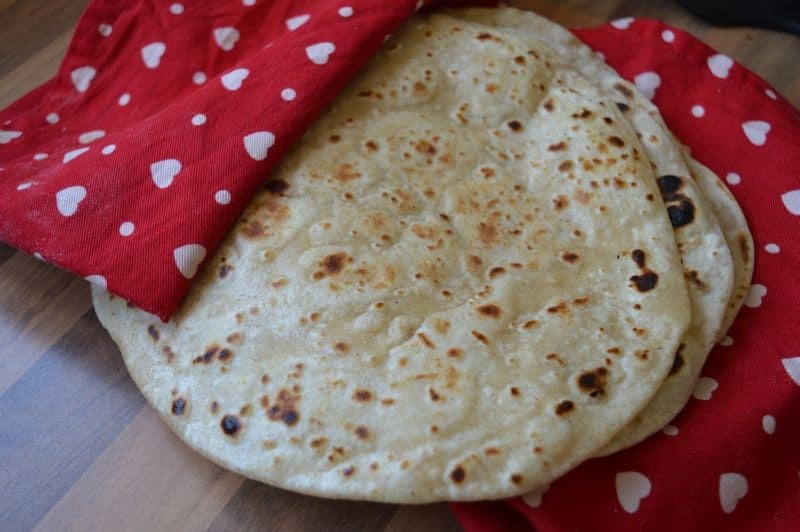 I remember when I was in Karachi we used to eat it almost after every 2-3 days from our favorite shop. 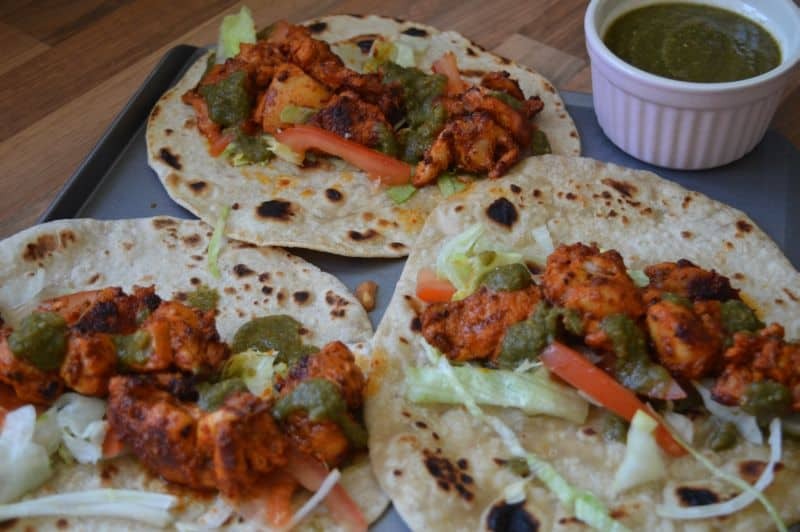 That was made from perfect boneless BBQ meat (chicken,goat) , paratha, chutny and fresh salad. 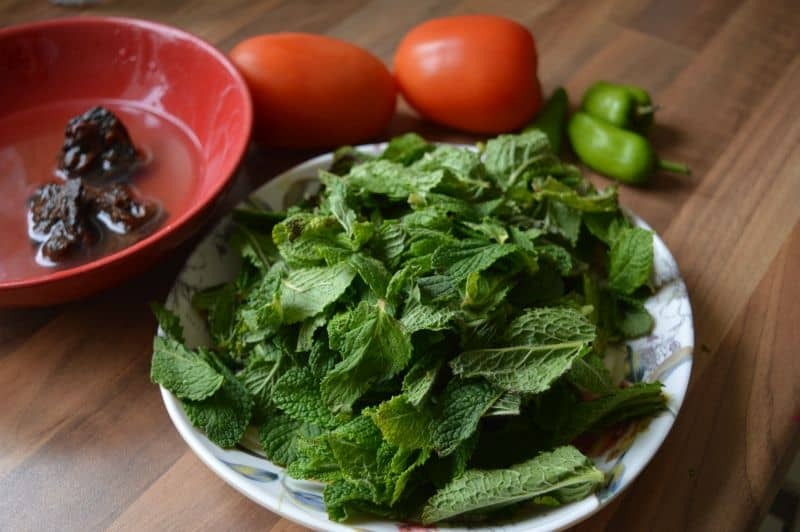 So today I made this recipe keeping in mind all those tasty flavors in a easy way.You can say home style way. Yes again 🙂 not exactly same but 100% tastier than those if you follow the recipe with tips exactly. 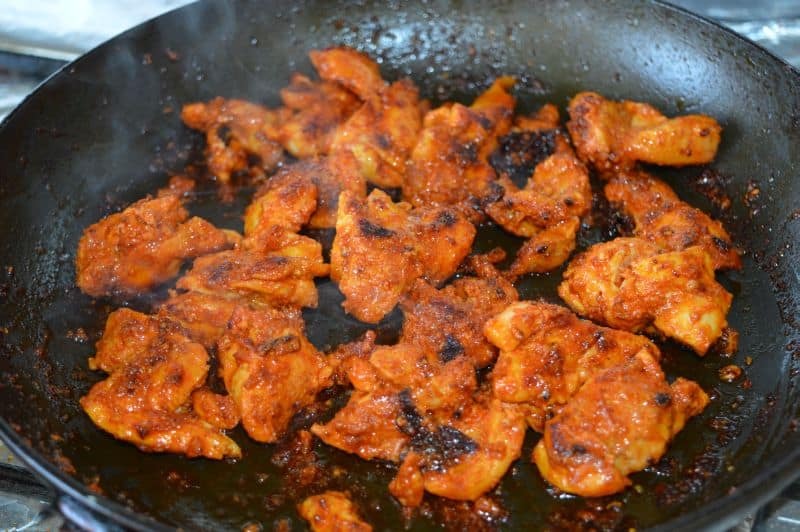 Tip:Use chicken thai meat, cut big boneless pieces and marinate it for 1 day. 1. Add all list 2 dough ingredients in a bowl. 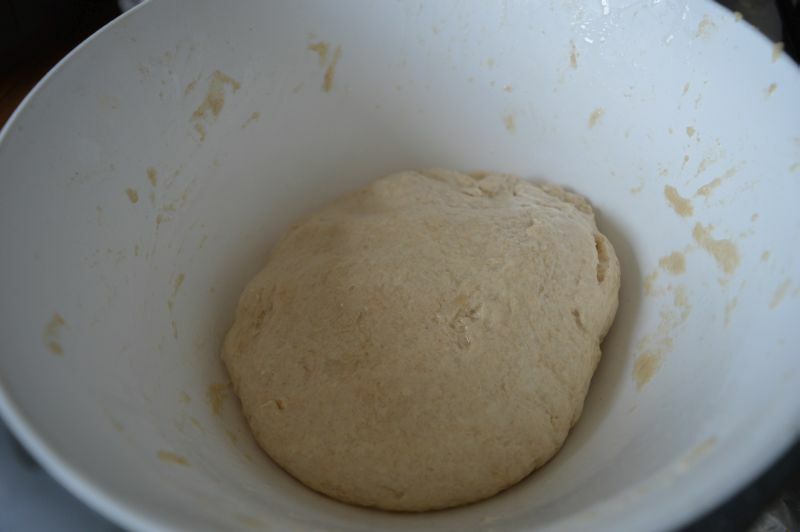 Add in some water and knead a medium consistency dough. Set aside. 2. 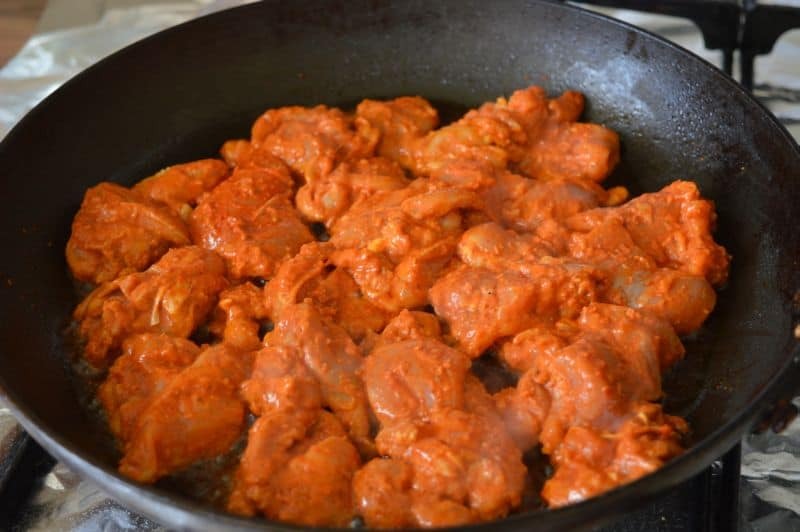 Take all list 3 chutny ingredients. 3. 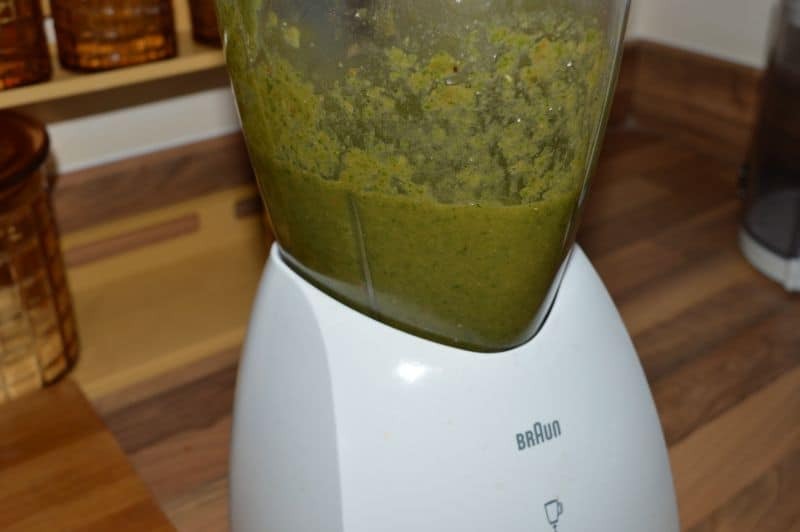 Blend fine in a blender. 4. 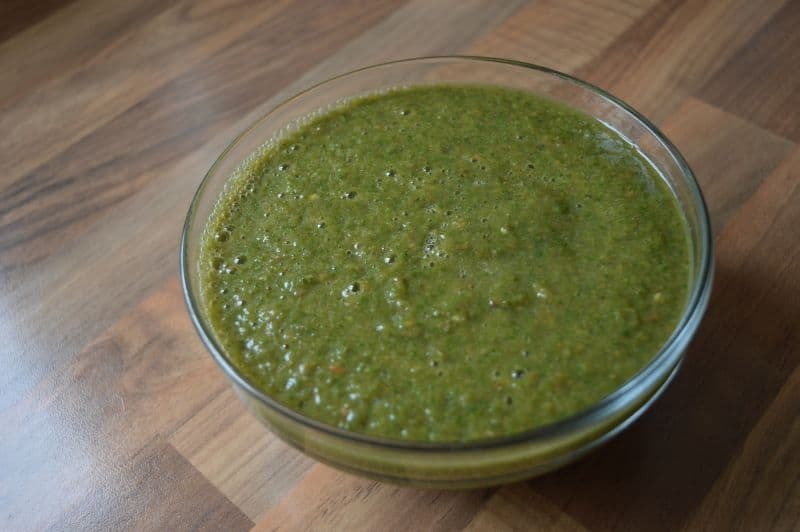 Chutny is ready, set it a side. 5. 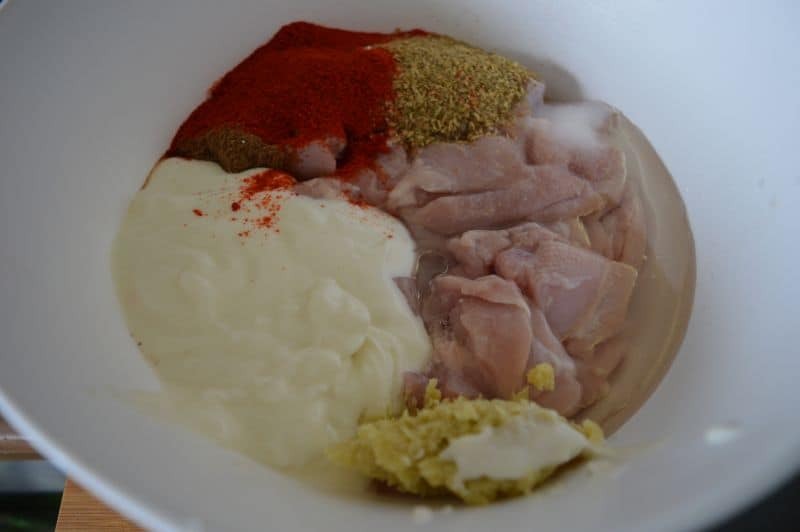 Take all list 1 ingredients in a bowl. 6. 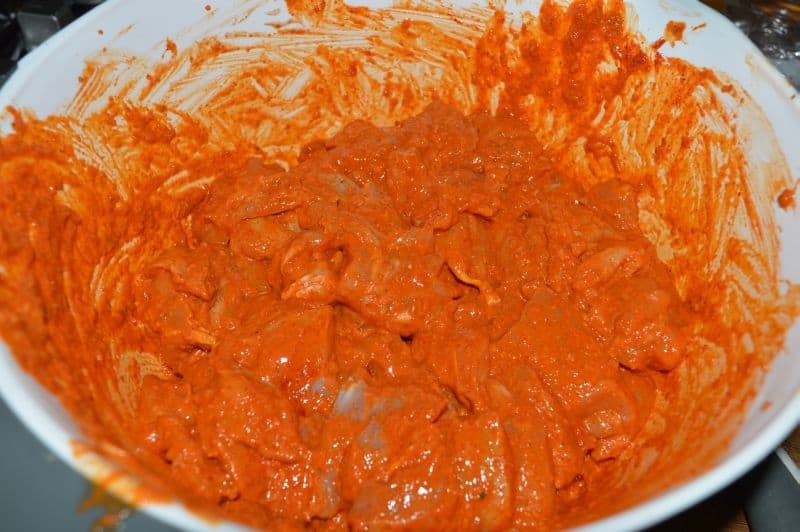 Mix and marinate for 1 day. 7. Heat a frying pan to smoking point. Add 1-2 tbsp oil and keep these boneless pieces on it. Do not overlap them. 8. Cook for 2-3 minutes on high heat then turn them. and cook for more 3-4 minutes. 9. 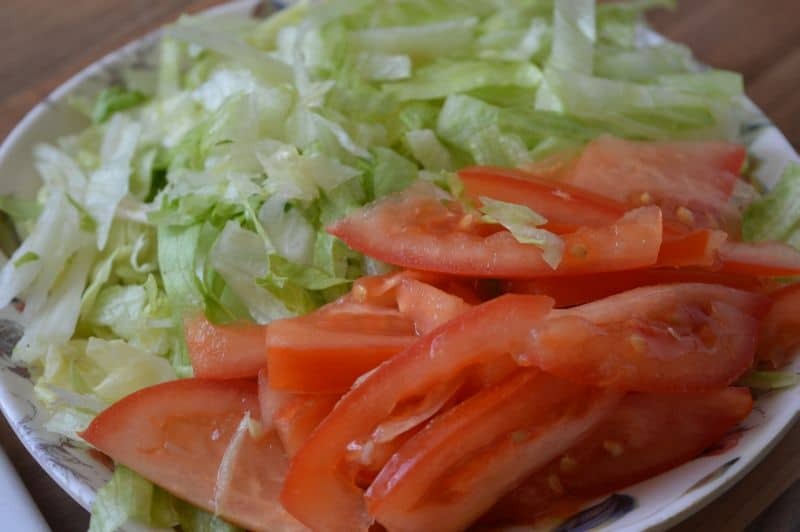 Cut fresh veges like tomatoes, cabbage and onions. 10. 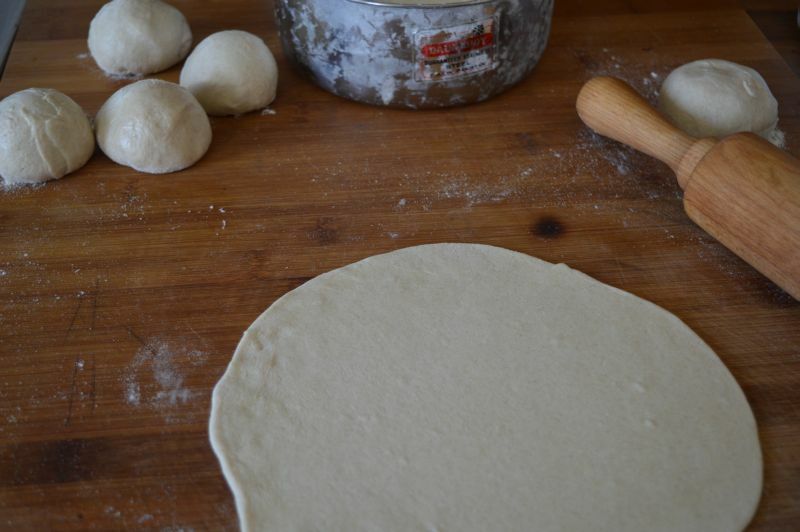 Make small balls from dough, roll thin chapatis and cook them on a flat pan. 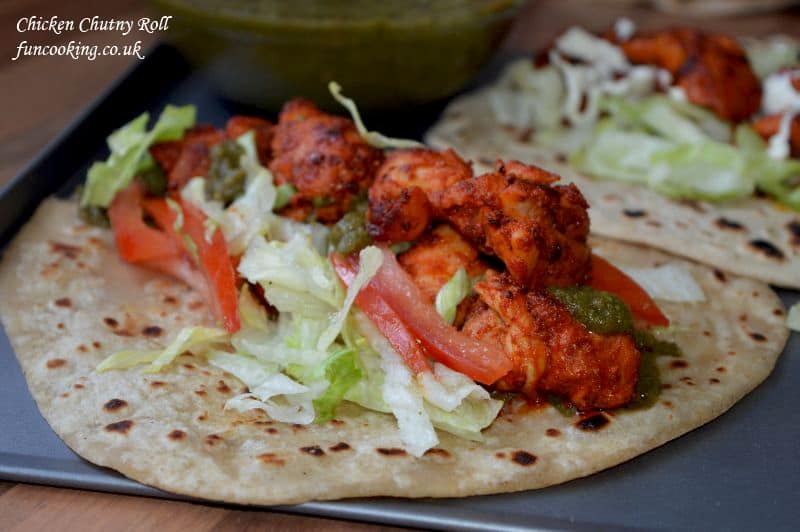 Keep chicken, salad and chutny on chapati and roll it.